What an incredibly amazing, exciting, and much anticipated weekend it was at the Big Day Wedding Expo March 4 & 5th at the Assiniboine Downs. This was my very first time being apart of any type of wedding trade show so I wasn’t entirely sure what to expect. Preparing for the wedding was like preparing for a very large and important University presentation x 20! 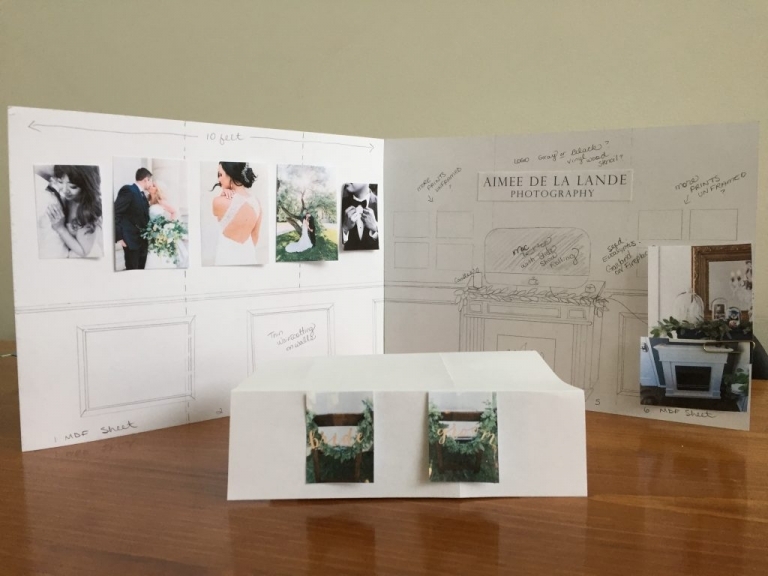 I can tell you it’s definitely been a long time in which I’ve had to put together a “visual presentation” for others let alone one that represents my career, love for visual arts and something that would resonate with potential brides and grooms. 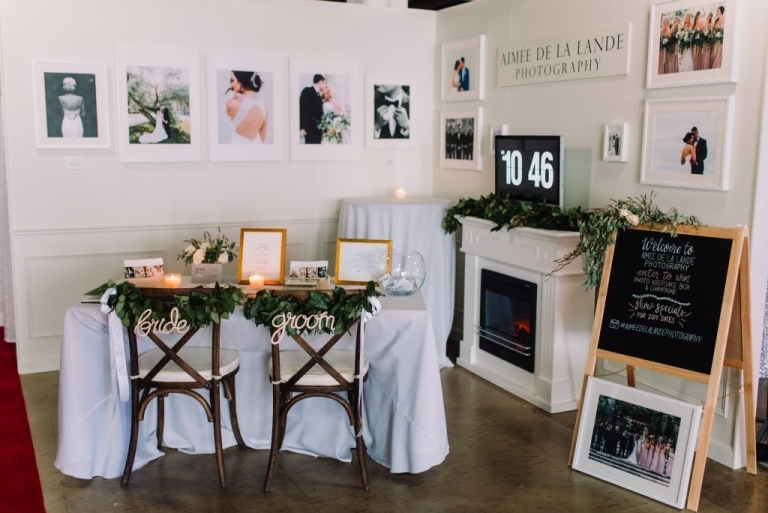 I had so many supportive & lovely friends, family, and industry vendors whom helped bring my vision for booth #12, Aimee de la Lande Photography together. 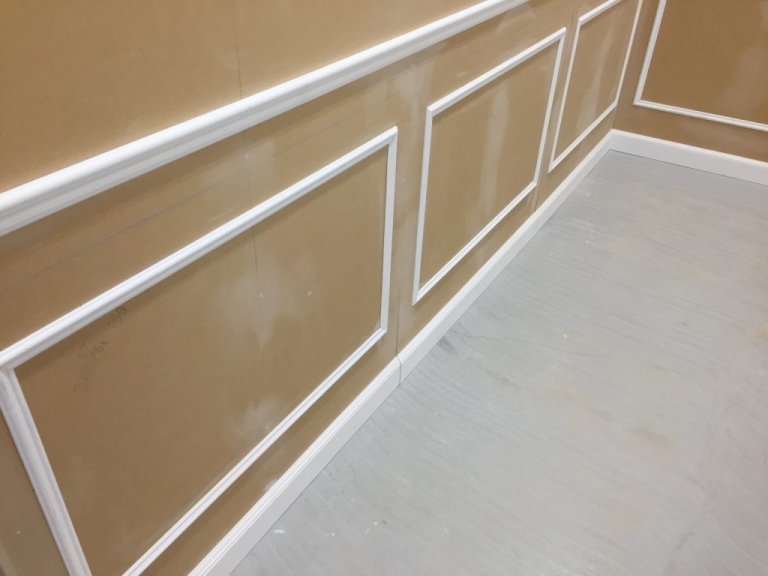 Most notably, the constant support and tremendous amount of time given to me by my partner of Osborne Construction who put up with my non-stop “wedding booth talk” for over a month and whom built me the bones and beauty of the wainscotting walls that really contributed to my branding of my business. Looking back, I am almost certain his craftsmanship of my booth walls were ‘almost’ more talked about than my actual photographs, but i’m ok with that, they were incredibly beautiful and deserving of all the accolades. A big thank you to Lauren at Stone House Creatives for designing the most beautiful garland chair swags, fireplace garland, and floral arrangements for the booth. Everything looked stunning and everyone was talking about the lovely chair details looked which were kindly provided by C & T Rentals. Not only were they gorgeous to look at, but I even had a few people test the chairs out and proclaim them to be some of the most comfortable in the industry. A special thank you to Ashley Lotecki Design for the beautiful Bride & Groom signs hanging from the garland swags. They were designed and handmade out of beautiful Baltic Birch Wood by Ashley herself. If you loved the signs, she makes the most amazing cake toppers and currently holds an exclusive line at High Tea Bakery right here in the city. 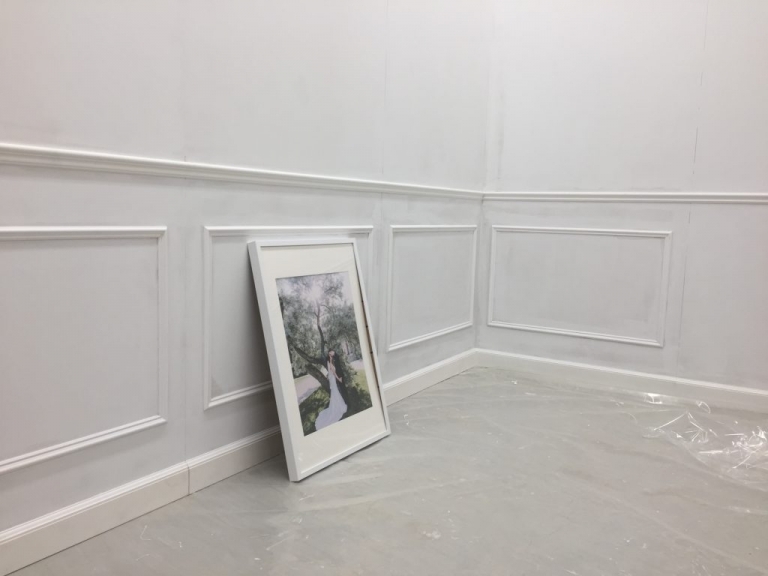 A very huge thank you to Sheryl at Vantage Studios whom worked closely with me to make sure my large format prints were sized and printed to perfection for my feature gallery walls. A very big thank you to the talented Linger at Parasayo Co for making me the sweetest and most attractive chalk board sign that helped welcome attendees into my booth. If you need signs, seating charts, table numbers, guest placards or whatever you little heart desires, Linger is your woman! I was going to attempt making my own sign myself, but I know all to well that i’m a perfectionist and it’s guaranteed that I would have hated looking at my chicken scratch every time I would have made eye contact with the thing. How lucky are you when Joy Coffee Bar sets up adjacent to you at a show? Alex the owner, saviour, and artist not only makes incredible tasting coffee, but the attention to detail and the designs of his beverages are none to others. I actually hope to do some personal work with him sometime in the future. Let it be said, I absolutely love love love the idea of a coffee bar at a wedding. I was lucky enough to shoot two weddings this past season with coffee bars and I tell you, it’s so wonderful to be able to get a good cup of coffee at any time of the night, any photographer will know the struggle of their coffee disappearing from the tables before I can even get a sip in after photographing speeches. Also a big thank you to my close friends Dan, Britt, and Chris for helping me take down one of the heaviest and complex set-ups in record time after the show, not even kidding, this puppy was down and loaded in a flat 45 minutes after the show – it’s the perks of having some very large strong friends! Lastly, thank you to Cory and Alyssa for being such helpful hosts at the wedding show, they made my first experience as a vendor pleasurable and I would absolutely recommend others in the industry to partake in this show. What drew me to partaking in this particular wedding show was the venue and attendance. 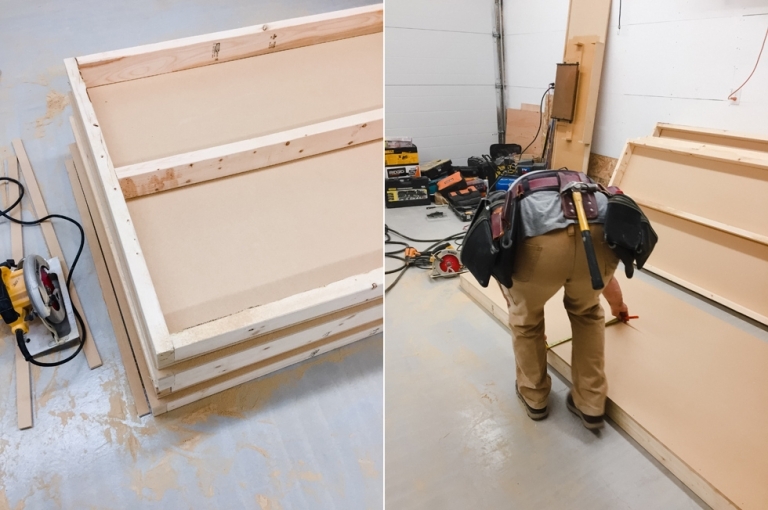 It is a fair size show, but not too large that it is overwhelming to attendees or over saturated with too many vendors offering the same service. While it had it’s moments of high traffic and many people being in my booth at one time, there was also plenty of time for some really good one on one conversations with potential clients. I certainly left there feeling like I made some great connections with couples and also some other vendors and I appreciate the more intimate atmosphere. I thought i’d share some pictures of my booth and some of the lovely details provided by the lovely vendors that helped bring this all together, so again, a big thank you to everyone that helped make my first wedding show a pleasurable and successful one!